Swimming in a garlicky white wine sauce, this Easy Shrimp Scampi Recipe is on the table in just 10 minutes! A super quick meal that’s perfect for busy weeknights. 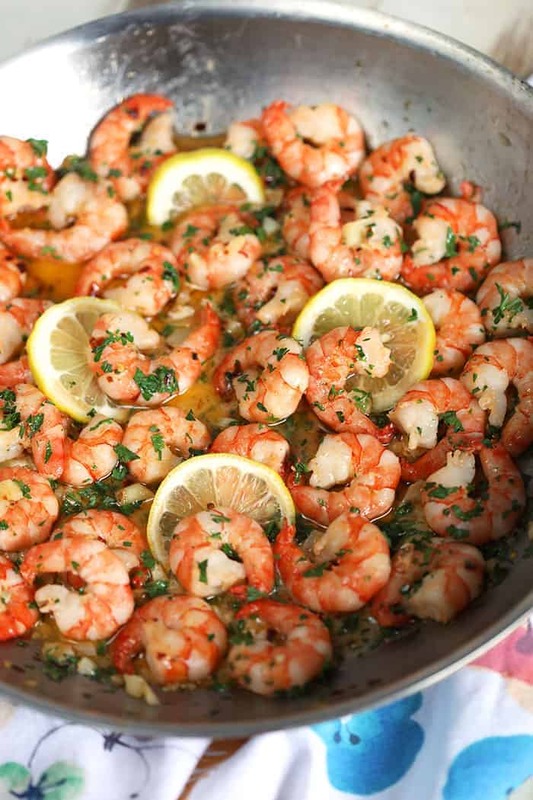 One of my favorite “fancy dinners” growing up was Shrimp Scampi. I loved shrimp pasta with hunks of crusty bread (or dinner rolls) for cleaning the plate when I was done. It was my go-to dinner when my family would go out to eat because it seemed like such a decadent meal. When I started cooking on my own, I was pretty intimidated to make it at home….until I actually did it. BOY, was it so easy AND QUICK! 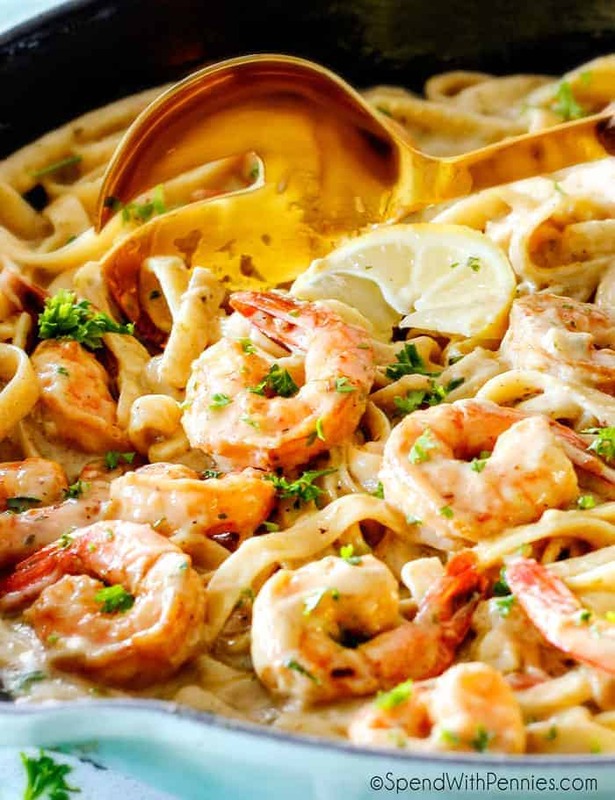 Creamy Shrimp Scampi is a dish made with shrimp or prawns in a scampi sauce. What is in a scampi sauce you may ask? It is an amazing and simple garlic butter wine sauce. 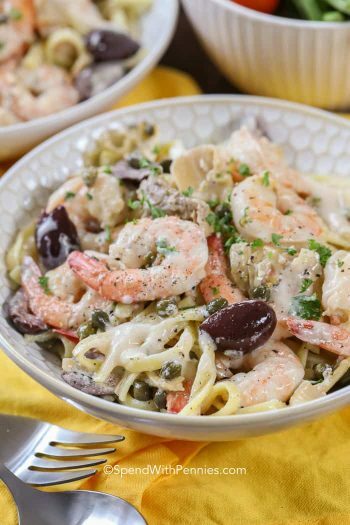 Commonly served as shrimp scampi pasta, this recipe is also a great first course for a dinner party. 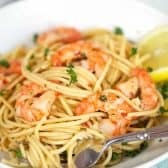 How do I make Shrimp Scampi? 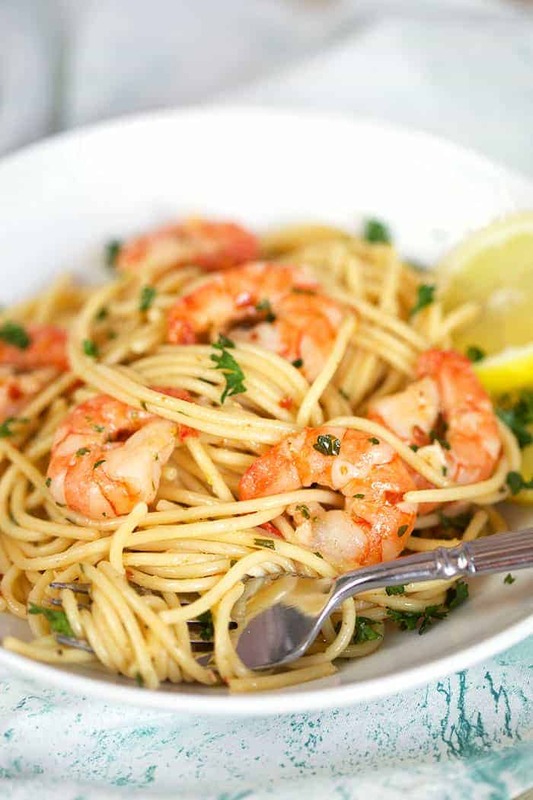 If you’re wondering how to cook Shrimp Scampi, you can easily have the this recipe completed in about the same time it takes to boil your pasta. I love to eat the shrimp straight from the skillet, though. And it’s a fun way to serve it up when you’re having a casual dinner with friends…..add a basket of crusty rolls and everyone is happy. 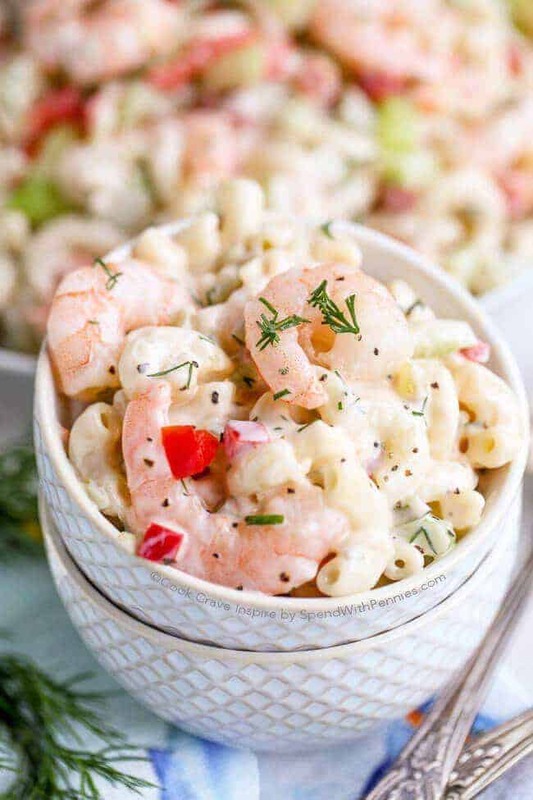 This homemade garlic Shrimp Scampi comes together with just a few simple ingredients….shrimp (obviously), garlic, crushed red pepper (you can skip this if you’re sensitive to spice), butter, olive oil, white wine (also can be subbed with chicken stock), salt, pepper, parsley. Nothing fancy about how to make shrimp scampi except the flavor! What kind of wine goes in Shrimp Scampi? Your best bet is a crisp dry white wine that you’ll enjoy drinking with your amazing meal! 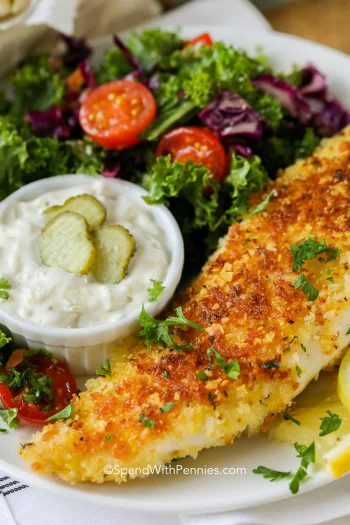 You may enjoy a Pinot Grigio, Viognier, dry Riesling or Sauvignon Blanc along with this dish. To make this scampi recipe come together even more quickly, stop by your grocery store seafood counter and buy the peeled and deveined shrimp like I did for this one. The shrimp look prettier with the tails on but who wants to be picking the tails off while they’re eating their dinner…..am I right? Plus, I despise peeling shrimp so I was able to just toss them right into the pan saving me about 10 minutes of prep time! Anyone up for some amazing Shrimp? Sheet Pan Shrimp Boil – Fun for a crowd and easy to make! Skillet Shrimp Fajitas – Fresh flavors! A lot of Shrimp Scampi recipes call for parmesan cheese but I left it out of this recipe because it’s not truly “authentic.” I like to have it at the table for family and friends to add if they wish. 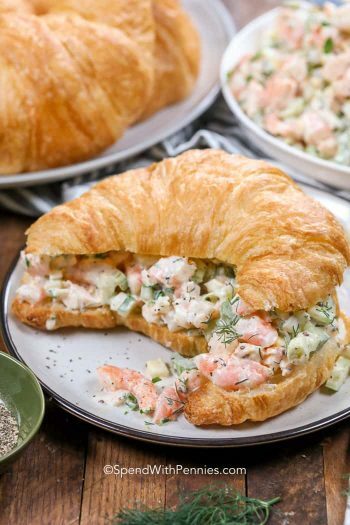 Plus, it can cause the shrimp scampi sauce to get a little lumpy when stirred together changing the trademark velvety smooth texture of the sauce to more of a pasty consistency. We love this easy Shrimp Scampi recipe so much it’s on regular rotation here during the school year. And the best part? 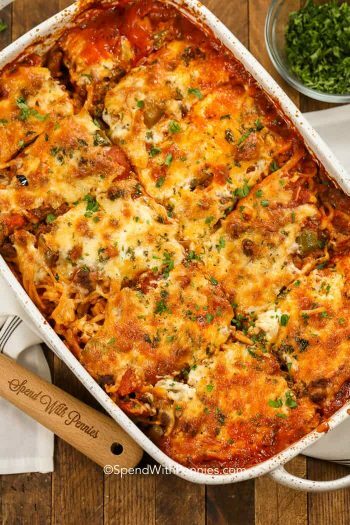 There’s very little cleanup since it’s cooked in just one pot. If you want to skip the pasta (and the bread….but WHY? ), you can serve it with a fresh green salad. 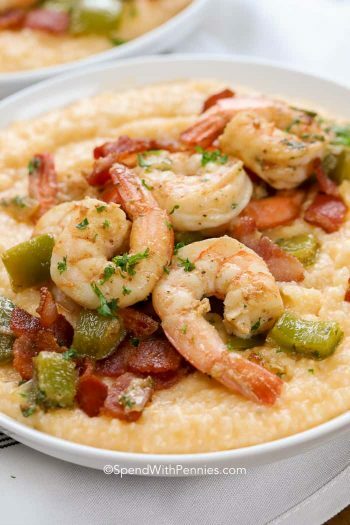 Some other shrimp recipes we LOVE that come together just as quickly is this super EASY Shrimp and Grits….or THIS simple Skillet Paella with Shrimp and Chorizo! 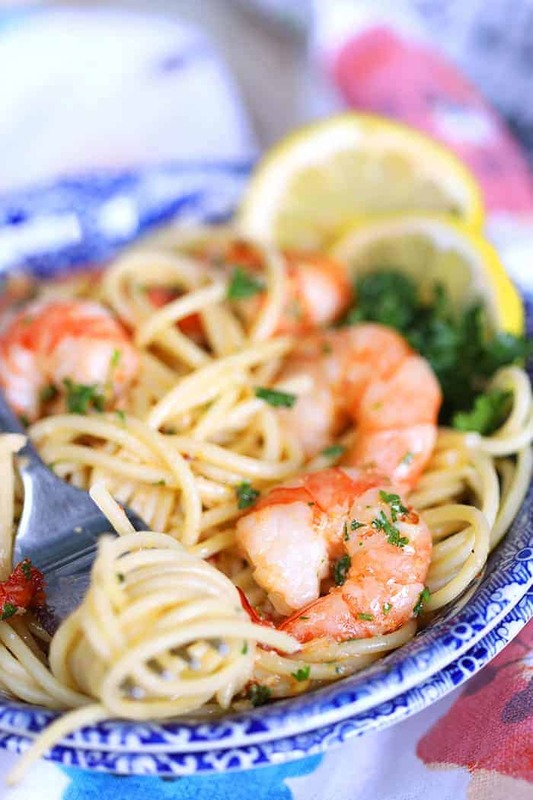 Ready in just 10 minutes, this Easy Shrimp Scampi is fantastic for weeknight dinners! Stir in the garlic and red pepper. Cook for 1 minute. Add the shrimp to the pan and toss to coat. Cook the shrimp until bright pink and no longer translucent, approximately 2-3 minutes. Using a slotted spoon, transfer the shrimp to a plate and keep warm. Add the wine to the pan and cook for 2-3 minutes. Turn off the heat. Return the shrimp to the pan and toss to coat in the sauce. Sprinkle with the parsley. Season with salt and pepper, to taste. Serve immediately. 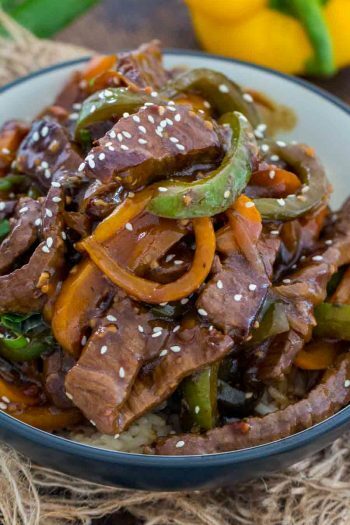 *If you prefer a less spicy dish, you may want to start with less of red pepper flakes. I love to cook and I’m excited about your new easy recipes thank you so much. I hope you love the recipes Angela! Me an my SO loved it. We like spicy! We love spicy too, so glad you guys loved it Tony! Oh no, I’m sorry you found this recipe too spicy, we have updated the recipe. I think the recipe should call for a teaspoon or less crushed red pepper. It reads tbsp, which to me is a Tablespoon…it was so hot, I couldn’t feel my lips! Is there anything you can use to substitute for the wine? I am a recovering alcoholic and I no longer drink alcohol even if it’s cooked out. But I love Shrimp Scampi. You could try broth a bit of broth or a tiny bit of white grape juice mixed with broth. Enjoy and please let us know how it works out for you! I use non alcohol wine. I find it still tastes great.